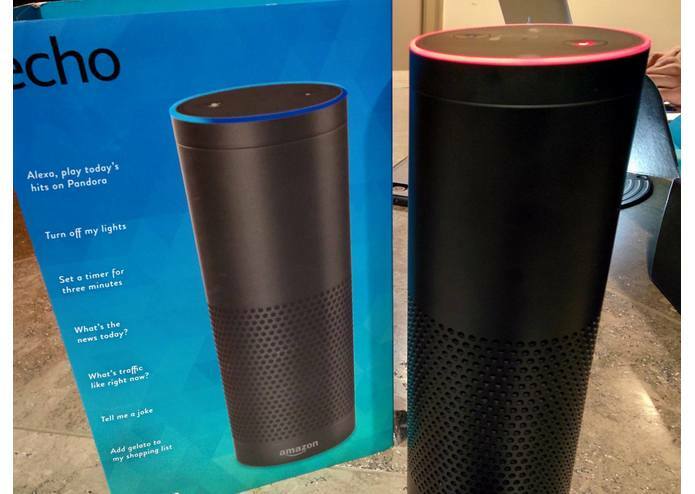 Now you can play Mad Libs with your friends using just your voice with the Amazon Echo! We created an Alexa application using the Amazon Alexa development skills kit. Alexa does all of its processing on the cloud, so we used AWS Lambda (A special feature of the powerful Amazon Web Services) to host our script so Alexa can learn and run the script wirelessly and effortlessly. Mad Libs is a fun social word game where people choose their own words to complete a story without knowing the context of the story. The stories typically turn out crazy and funny this way. To start simply say, 'Alexa play Mad Libs' or 'Alexa ask Mad Libs'. It will tell you how many questions it will ask and then prompt you for answers. To answer, you can either say the word directly, ex. Dog. Or you can be more specific and say 'My word is Dog' or 'I choose Dog'. If you don't want to continue you can always say 'cancel' to quit. Worked on code for the Amazon Echo (with AWS Lambda) and integrated a SMS feature. Worked on the core logic for the Mad Libs game and file format for the story files.